Electrical Engineering - Powerline / Electrical Power Engineering / Power Engineering. For applicant who graduated from Program Lintas Jalur (Diploma 3 graduate continue to Bachelor) the legalized copy of Diploma 3 certificate and trascript should be attached. Bachelor / Diploma 4: Grade Specific 4. No correspondence related to the recruitment process and decision Recruitment Team is inviolable. 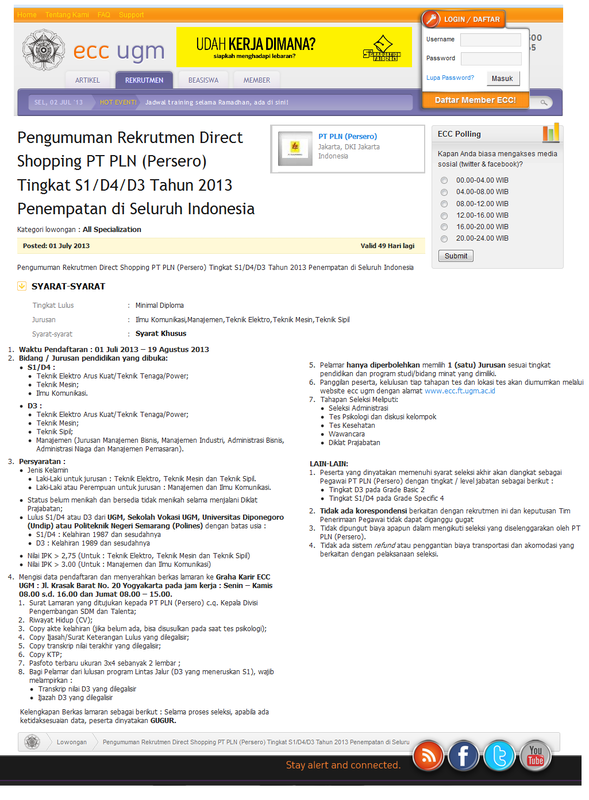 No fee charged to participate in the selection held by PT PLN (Persero). No refund for transport and accommodation costs associated with the recruitment process. During the selection process, if there is a data inconsistency or the major discrepancy from the requirements above, the candidate will be disqualified. Psychological Test and Group Discussion. 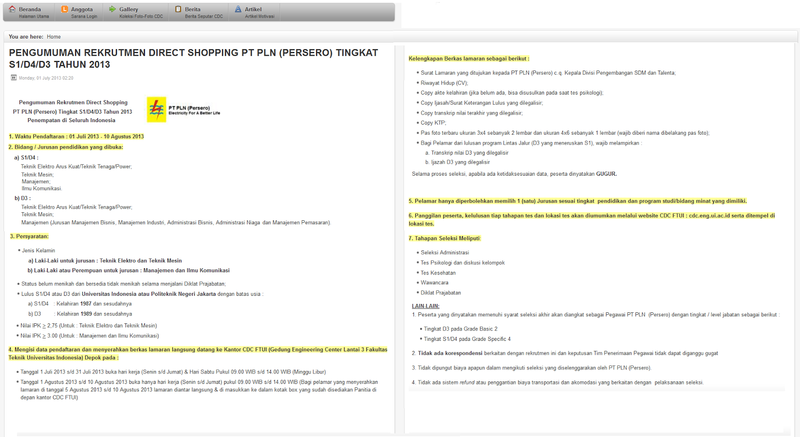 Should you interested, please send your applicatin document to PT PLN (Persero) at link below (Please download). All of the selection process is free of charge. PLN will never ask for fees or upfront payments for transportation, accommodation and any purposes during the recruitment process. All applications will be treated as strictly confidential. Only qualified candidates that meet with the above requirements would be processed in this recruitment. Closing Date : 10 & 19 August 2013.